Insurance companies don’t always want to pay claims after car, truck or motorcycle accidents. If they do accept a claim, they sometimes want to pay as little as possible. For this reason, you need to have an experienced Baton Rouge personal injury lawyer at your side after an accident. At Babcock Trial Lawyers, attorneys Stephen Babcock and Chase Tettleton will level the playing field for you. They are highly experienced trial lawyers with a record of success in the courtroom. Stephen, in fact, is the founding member of Trial Masters™ – a national organization comprised solely of lawyers who have tried 35 or more trials to verdict. They can leverage their trial experience to seek a positive result for you – even if your case does not go to trial. Listen closely to you in a free case review. Thoroughly review your file and give you an honest opinion on its likelihood of success. Aggressively seek full and fair compensation for you. Charge you nothing unless we secure a recovery for you. We won’t rest until we have done everything possible to help you and your family. Contact Babcock Trial Lawyers today for a free case review. We’ll outline your legal options and our 100% Satisfaction Guarantee: No fee until we recover a monetary award for you and, if you are not 100% satisfied, terminate us within 30 days and you won’t owe us anything at all. Nothing. No costs. No fees. No kidding. Nothing. We focus exclusively on helping personal injury victims and their families in Baton Rouge and surrounding areas in Louisiana. Because we concentrate on these cases, we can recognize the many different issues that arise in them – and how to overcome those issues. We know the ins-and-outs of investigating accidents, presenting claims to insurance companies and, most importantly, presenting solid cases in the courtroom to a jury or judge. If you or a loved one has been injured in an accident, we will be ready to go to work for you right away. Stephen Babcock and Chase Tettleton are both graduates of LSU’s Paul M. Hebert Law Center. They are highly skilled litigators who know how to win cases at trial. Membership in the Multi-Million Dollar Advocates Forum – Less than 1 percent of U.S. lawyers are members of this organization, which is solely comprised of lawyers who have won million and multi-million dollar verdicts and settlements. 10.0 “Superb” Rating with Avvo® – The online legal directory bases this rating on a model that takes into account information from a wide variety of public sources. AV Peer Review Rating in Martindale-Hubbell® (2005-2017) – This rating signifies that a lawyer’s peers and judges have ranked him at the “highest level of professional excellence” based on the lawyer’s legal knowledge, communication skills and ethical standards. Best Lawyers ® Listing in Commercial Litigation and Personal Injury – Plaintiffs (2011-2017) – This listing reflects the consensus opinion of leading lawyers about the professional abilities of their colleagues within the same geographical area and legal practice area. Selection to Louisiana Super Lawyers® (2011-2017) – Less than 5 percent of lawyers in Louisiana are selected for this publication. The selection is based on Super Lawyers’ independent research as well as peer nominations and evaluations. The National Trial Lawyers Top 100 Trial Lawyers (2012-2017) – This is an invitation-only organization comprised of the top trial lawyers from each state. Selection is based on peer nominations and third-party research. (Stephen also was named to The National Trial Lawyers Top 40 Under 40 list from 2010 to 2013). 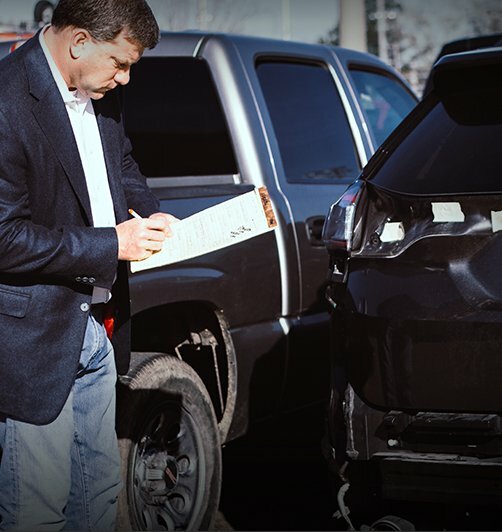 When you hire us, you will quickly see that Stephen and Chase are both highly professional, down-to-earth lawyers who are truly committed to helping our clients and their families to get their lives back on track after a serious accident. When you contact Babcock Partners, you can speak directly with one of our lawyers about your case. We will want to learn more about how your accident occurred and about how your injuries have impacted your life. Additionally, we will invite you to ask as many questions as you would like about your case and our law firm’s approach to serving our clients. Can I get my car repaired or replaced? How much is your law firm’s fee? How does your 100% Client Satisfaction Guarantee work? We will take the time to thoroughly answer your questions. We also will answer your calls and keep you regularly updated throughout your case. We believe that steady, open and honest communication is one of the most important services that we provide to our clients. We know how important your case is to you. If you were injured or lost a loved one in an accident, make sure to get in touch with Babcock Trial Lawyers as soon as possible. 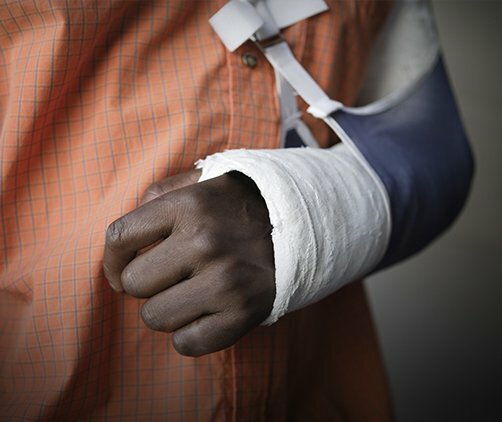 Under Louisiana law, you have a very short period of time after an accident in which to file a personal injury lawsuit. You do not want to lose your right to take legal action. We serve clients throughout Baton Rouge and the entire state of Louisiana. So, get started today. Call or reach us online for a free, no-obligation case review.